If you are on Facebook, you probably know you can become a “fan” of lots of different things: stores, potato chips, restaurants, TV shows. Having a 100% sarcastic conversation with someone who thinks you’re serious. Why learn algebra? Finding X is only useful if you’re a pirate! Well, I’ve been finding myself becoming a “fan” of a lot of things lately, too. First, there are the things that I took for granted before I was pregnant. I just changed your diaper, did you seriously poop again? 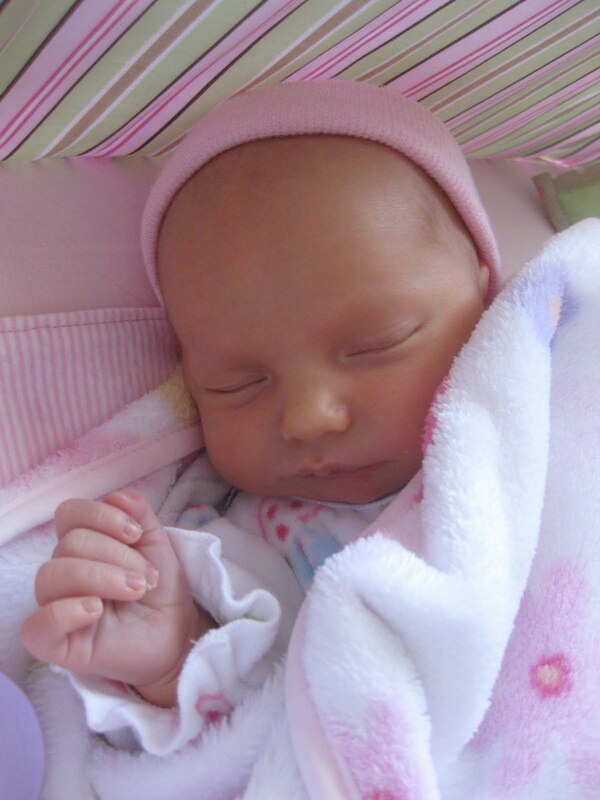 I’m a fan of cute little bald babies who wear a pink hat when they sleep. What about you? What are you a fan of right now? Do you ever stop to become a fan of something you once took for granted? That is so sweet! Ah, I miss those first few weeks after a new baby comes home. It makes my heart a little sad as I can hardly remember my little babe that little and new. He's starting to cruise furniture and babble already! I am a fan of taking it one moment at a time. And sometimes as much as I try, the moments still go by too fast! totally funny. I work with teen girls, and the things they "fan" always crack me up as well!